China has entered its first long-term deal to import US liquefied natural gas, following a move by the White House to open the rapidly growing market to US suppliers. 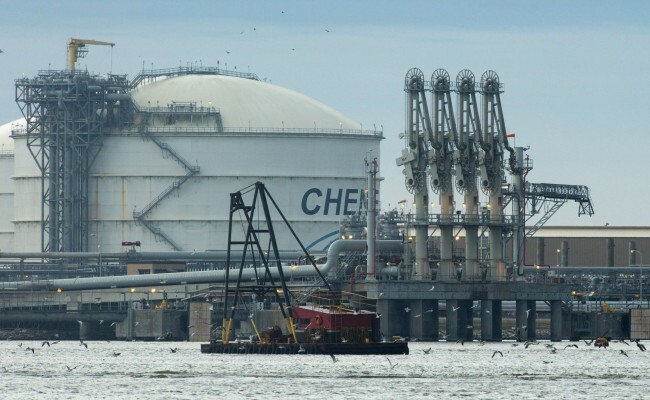 Cheniere Energy Inc, which has already exported LNG to China, said that it had signed a contract – purchase agreement – with China National Petroleum Corporation to export LNG from the US Gulf Coast to China. Under the agreement, the Chinese energy giant will receive 1.2 million tons of LNG a year through 2043. A portion of that supply will be shipped to China in 2018 and the rest will begin in 2023. President Donald Trump has made American LNG exports a focus of his strategy to turn his country into an energy superpower. Commerce Secretary Willbur Ross commented that the deal would speed up the approvals of US exports to China. While the deal did not change any existing legislation, it was a clear signal to Beijing that US LNG suppliers are open for business. Mr. Trump brought two US LNG executives with him during his trip to China in November and the CEO of Cheniere Jack Fusco was one of them. Cheniere became the first company to export US LNG from the lower 48 states. “We are pleased to announce these LNG contracts with China National Petroleum Corporation, an important global energy player in one of the largest and fastest-growing LNG markets world-wide,” Mr. Fusco said in a statement. So far, 34 US cargoes of LNG have been shipped to China and all of them from Cheniere’s facilities. Yet, the deal announced on Friday was China’s first long-term contract with a US supplier, the Houston-based company said. Such deals are preferred by exporters since they help them line up financing for expensive growth projects.